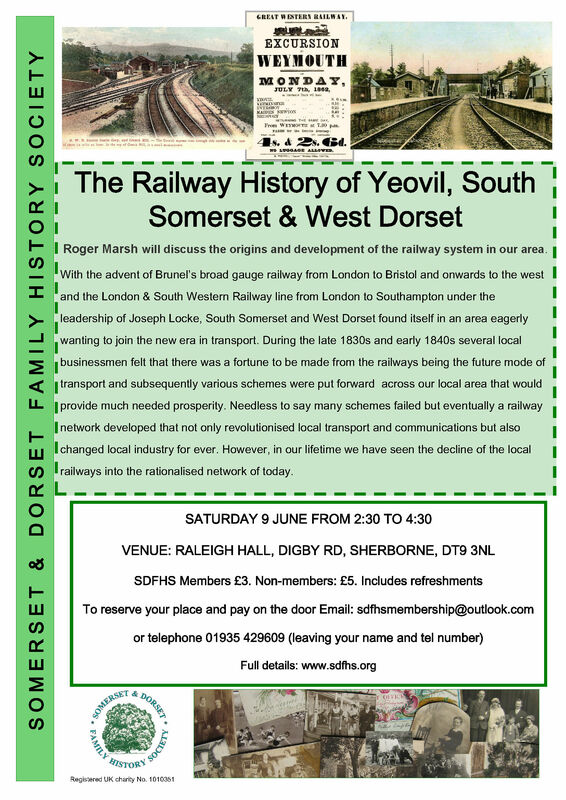 On Saturday 9 June, Roger Marsh will be giving a talk for the Society on The Railway History of Yeovil, South Somerset & West Dorset in the Raleigh Hall, Digby Rd, Sherborne DT9 3NL at 2.30pm. 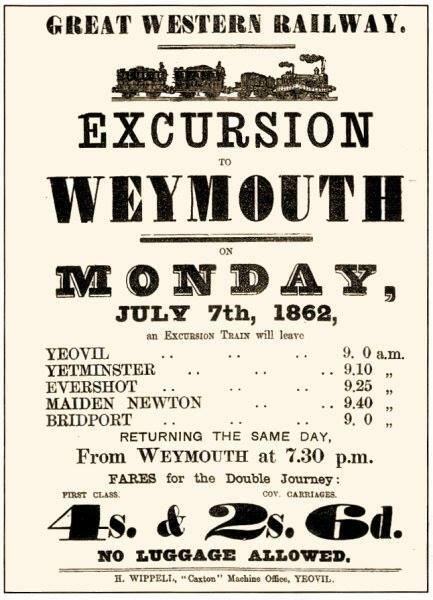 With the advent of Brunel’s broad gauge railway from London to Bristol and onwards to the west and the London & South Western Railway line from London to Southampton under the leadership of Joseph Locke, South Somerset and West Dorset found itself in an area eagerly wanting to join the new era in transport. During the late 1830s and early 1840s several local businessmen felt that there was a fortune to be made from the railways being the future mode of transport and subsequently various schemes were put forward across our local area that would provide much needed prosperity. 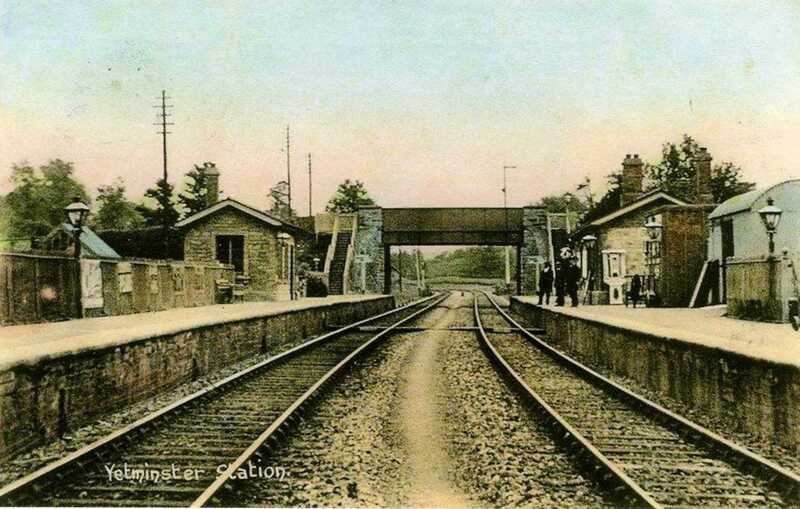 Needless to say many schemes failed but eventually a railway network developed that not only revolutionised local transport and communications but also changed local industry for ever. However, in our lifetime we have seen the decline of the local railways into the rationalised network of today. Roger, an authority on local history and especially railways in the West Country will guide us through the history and development of the local network. You can book in advance, or pay at the door. SDFHS members: £3. Non-members: £5. Includes refreshments. 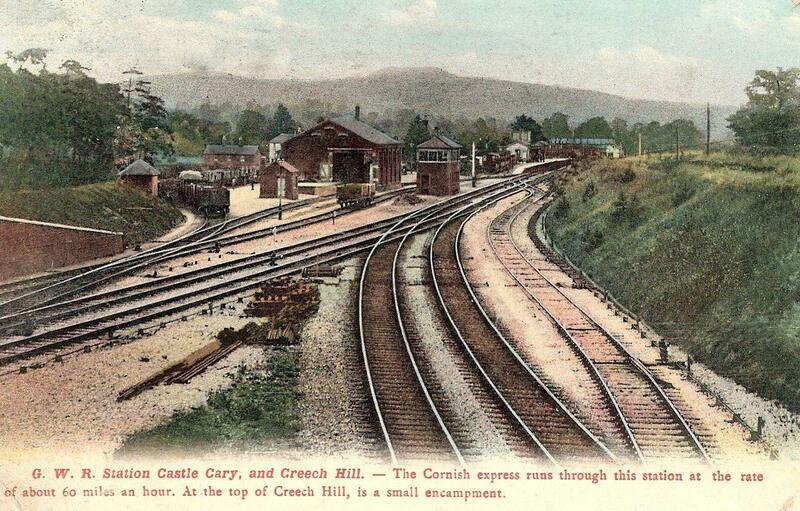 This entry was posted in Uncategorized and tagged Brunel, Castle Cary, Creech Hill, Dorset railways, Joseph Locke, London & South Western Railway, Railway, Roger Marsh, SDFHS, Sherborne, South Somerset Railways, Weymouth, Yeovil, Yetminster. Bookmark the permalink.